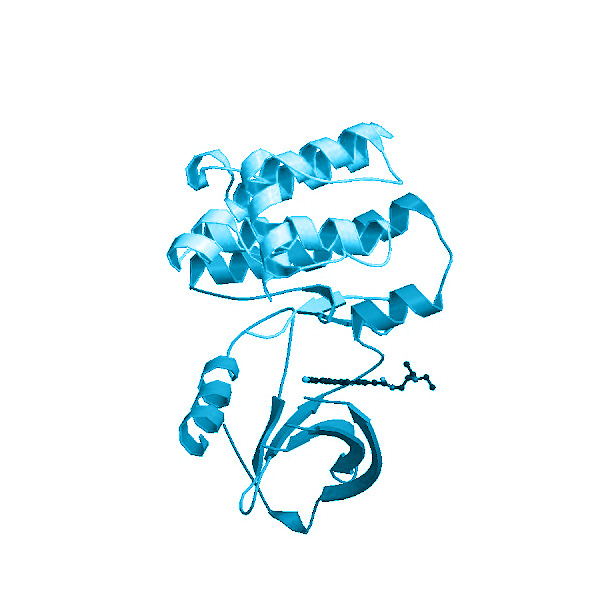 Background: Interleukin-2-inducible T-cell kinase (Itk) is a member of the Tec family of nonreceptor protein tyrosine kinases expressed primarily in hematopoietic cells and serve as important mediators of antigen receptor signaling in lymphocytes. Itk is recruited to the membrane via its PH domain in response to TCR activation and phosphorylates PLCγ, leading to the activation of this lipase and subsequent cleavage of its substrates. In turn, the endoplasmic reticulum releases calcium in the cytoplasm and the nuclear activator of activated T-cells (NFAT) translocates into the nucleus to perform its transcriptional duty. Horwood NJ, Urbaniak AM, Danks L. (2012) "Tec family kinases in inflammation and disease. "Int Rev Immunol. 2012 Apr;31(2):87-103.